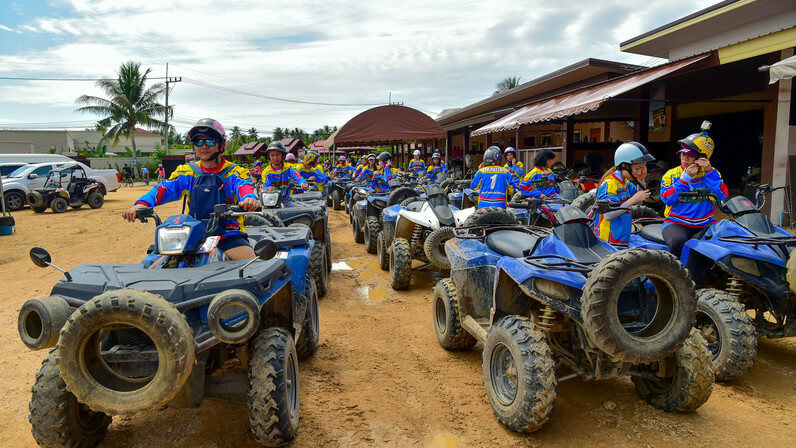 PATTAYA’S ONLY REAL ATV ADVENTURE! ATV Adventures Pattaya = Off-Road at it’s Best! ATV Adventures Pattaya is Pattaya City’s only REAL off-road ATV adventure tour. Explore Pattaya's BEST off-road trails whilst riding the world’s BEST ATV! Join our Facebook Page to get info about latest events and deals! © 2019 ATV ADVENTURES PATTAYA. All rights reserved.